Sheepshead fishing is fun anytime because sheepshead is an example of a fish species that can be caught year round along all southern coastal areas. 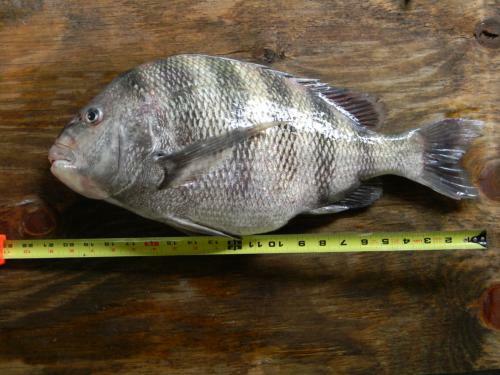 A brackish to saltwater species, they are called sheepshead because they have a month full of choppers that more closely resemble those possessed by the mammal than those of a fish. These choppers enable them to feed on one of nature’s most durable critters: barnacles. The habitat of the sheepshead is always in or around barnacle encrusted structures such as bridge piling, large rock formation like jetties, or submerged chunks of concrete rubble. So, when sheepshead fishing an angler must fish these types of structures. Fortunately, sheepshead will eat fresh shrimp. Shrimp make a handy bait because they can be purchased at almost any coastal bait shop. Avoid using the frozen package shrimp that has begun to change colors and has the look of being stored for a long time. Dead shrimp will work as long as it is freshly dead. However, the best bait for sheepshead fishing is the fiddler crab. Plus, in keeping with our theme of “do it yourself”, fiddlers can be caught around most coastal marshes, creeks, and ditches. At lower tides, fiddler crab are generally quite abundant, running around looking for their next meal. Most anglers catch them by hand or with some type of small mesh dip net and place them in a bucket. Fiddler crabs are easy to keep alive, they should be damp but do not submerge them in water. Protect the fiddlers for the heat and break off the large oversized claw when ready to use. 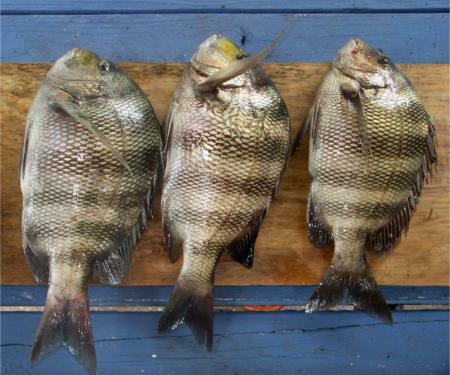 A standard rod and reel loaded with 12 to 20 pound test line will do when sheepshead fishing. Use a 2/0 or 3/0 hook tied to a 20 to 30 pound monofilament leader line. 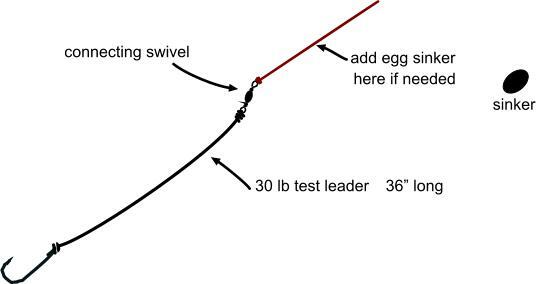 Make the leader about 30 inches long and tie the hook directly to the leader but use a single swivel between the leader and reel line. If you are using large shrimp as bait you may choose to go larger on the hook size and a light egg sinker or even a cork can be add to the reel’s line if needed. Quietly, position the boat next to the piling or other structure. Use a flat head shovel to scrape loose some barnacles, this creates a trail of chum around the structure. Next, drift your fiddler or shrimp into the chum allowing it to sink slow, at the first bite, set the hook. 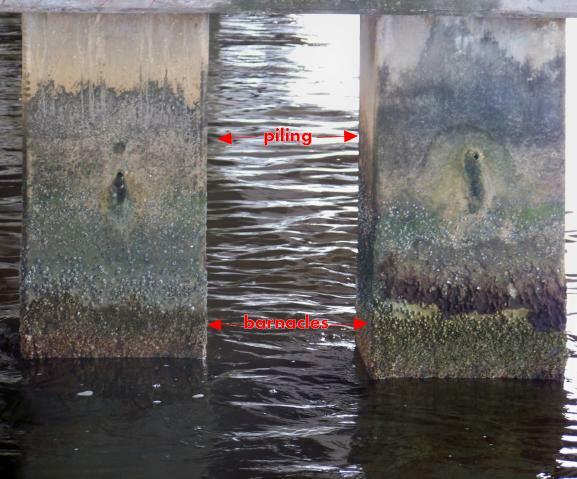 Work quickly to get the fish away from the piling because the barnacle can easily cut the line. Also, if possible, sink a bait to the bottom behind the boat using a standard bottom rig, sheepshead are notorious for feeding on the bottom. 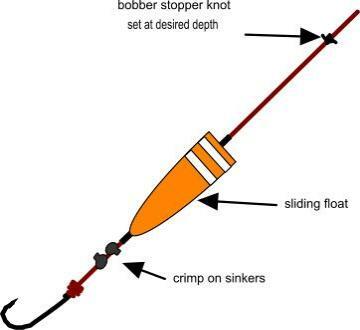 This sliding float rig works well using fiddlers when fishing around piling. If sheedshead fishing from a bridge or pier, get as close to the structure as you can, then let the fiddler drift by. Set the hook quickly and hope the sheepshead does not wrapped himself around the structure. The heavy leader line may provide some protection against the barnacle but after the catch is hauled in, be sure and inspect the leader for abrasion then replace if needed. Sheepshead will normal not bite minnows or mullet, and artificial lures do not appeal to them so why waste the time. 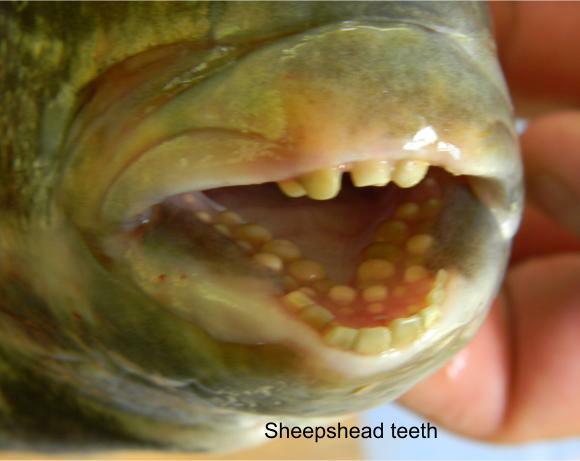 Also, sheepshead are a regulated fishery so check your local fishing regulation handbook for limits. If you intend to turn your catch into a meal, place the fish directly on ice. Sheepshead are excellent to eat but because of their tough scales they are a pain to clean so keep only the biggest ones and only what you can eat. Still, the effort is well worth the reward once these tasty fillets are cooked up. Here’s a tip, try blacken sheepshead fillets. You will need a cast iron flat pan which can be heated to a high temperature, a cooking burner (outdoors because this does create some smoke), unsalted real butter, a bottle of blacken fish seasoning and follow the direction on the bottle from there. You will be shocked just how good this is! Now check out this article by Daniel Hagen for more on "how to catch sheepshead" then go catch you some.